A district official from the Russian town of Volokolamsk was attacked by a group of protesters, who said that pollution from a major landfill site near their homes has poisoned their children. Earlier this week, around 50 local children sought medical treatment for symptoms of mild poisoning, including a skin rash, sore throats, and irritated eyes. On Wednesday, parents of the children joined other concerned citizens in a street protest, demanding that the authorities take steps against what they believe is the cause of their children’s ill health – a large commercial landfill located near the city, which had reportedly just released a cloud of toxic gas. 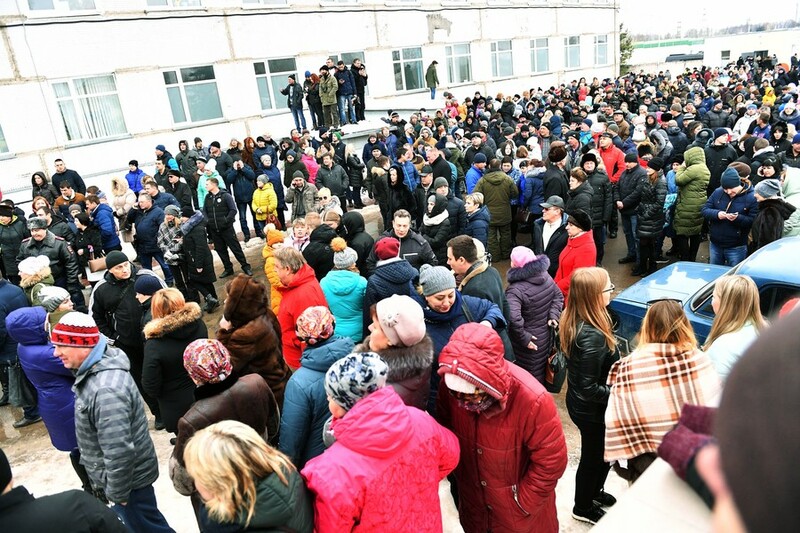 Head of the Volokolamsk District Yevgeny Gavrilov attempted to calm the crowd, but had to flee because of growing tensions that threatened to escalate into a physical confrontation. At one point, people began to insult and threaten him, as well as pushing and slapping him. People accompanying the district head quickly formed a circle around him and led him to safety. Still, Gavrilov suffered some minor injuries and the hood of his parka was torn off. As the group retreated, protesters were shouting and whistling, and some hurled snowballs at civil servants. 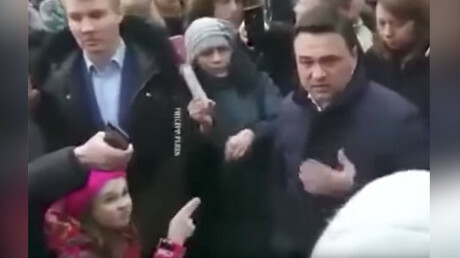 The incident and subsequent scene in which a young girl from the protesting crowd made a threatening ‘slit-throat’ gesture at the Governor of Moscow Region Andrey Vorobyov attracted coverage from most Russian media outlets, and news quickly reached the Kremlin. On Thursday afternoon, Governor Vorobyov published a post on the Vkontakte social network, in which he promised to close “the main body” of the Volokolamsk landfill as early as next week. He also wrote that the dump had been in existence for over 40 years, and asked citizens to show some patience as it was impossible to clean such a major site in just one day.